Check out the videos from Kathy & Bonnie! Do you have a skirt for under your Christmas tree this year? Lou Ann did a gorgeous job with her tree skirt! She embroidered the entire skirt while our sample has accent embroideries and used texture in the star points. 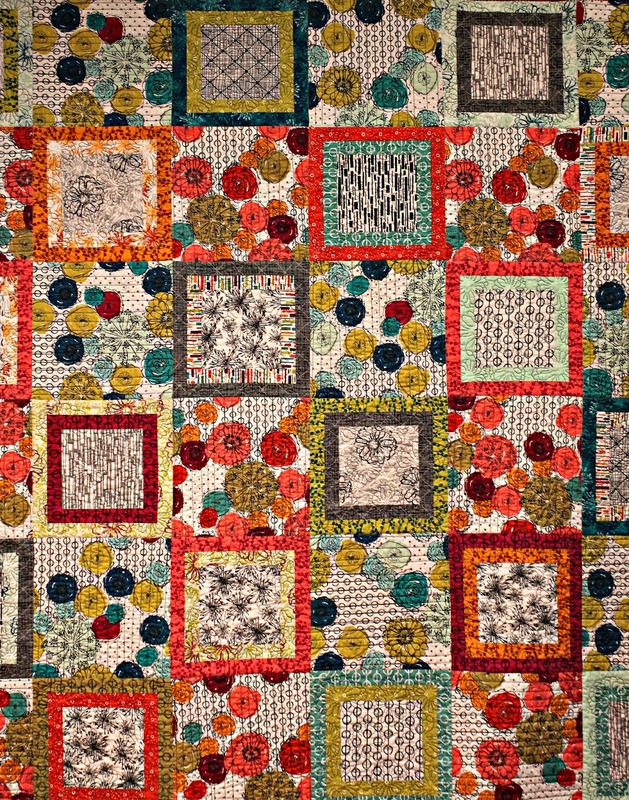 We teach this project as either a round tablecloth or tree skirt option! Love Love this project! 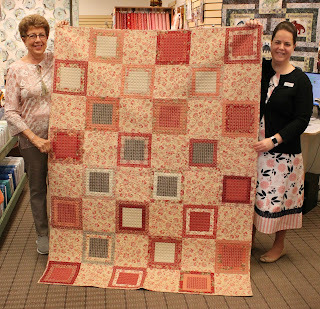 Our teacher Miss Brenda did a gorgeous job on our sample as well! Girls! Check out these placemats! Donna teaches this 1 day class! Make your own layout or use those GO! cutter dies! Quick and Easy!! 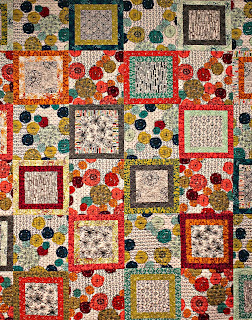 Patricia brought her Squares are Not Boring Quilt in today for us to see. We all fell in love with it. So we are sharing with you. Miss Shana is an great teacher, look at the smiles on their faces. 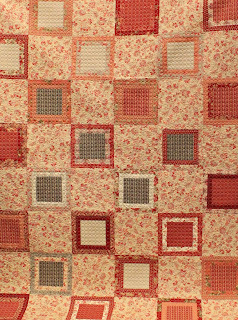 She made it using Moda's French General Fabric. when made in different fabric. Here are the fills she used from her Brother Dream Machine. 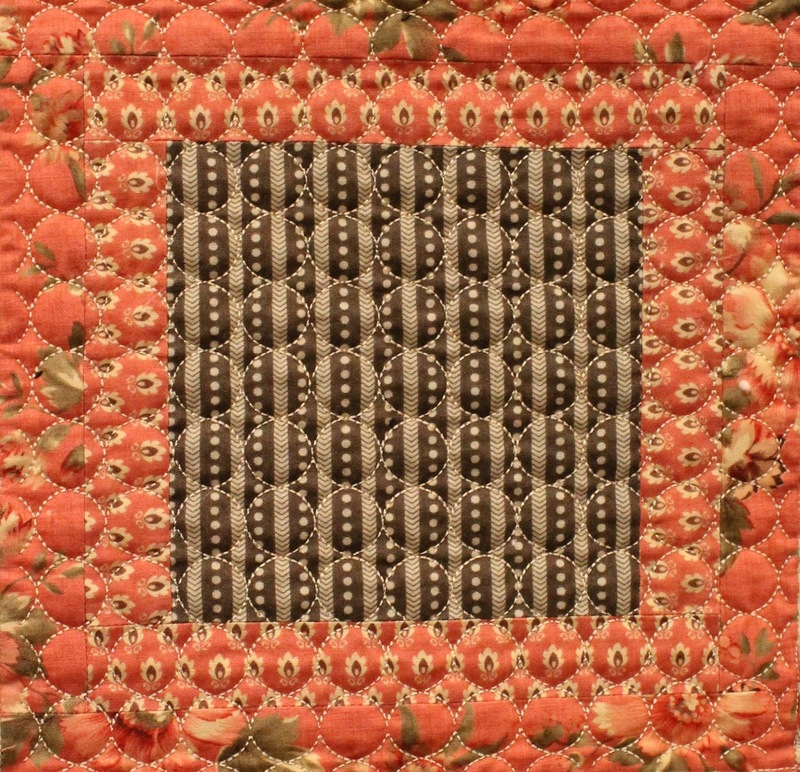 The whole quilt was quilted using her Brother. Patricia, Thanks so much for sharing with us. 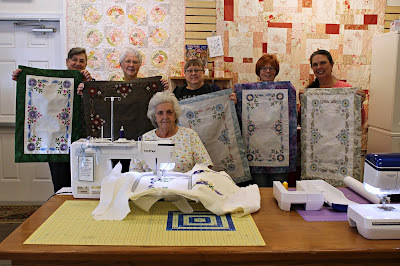 Anne took our Shooting Star class using the electric fabric cutter by Accuquilt. 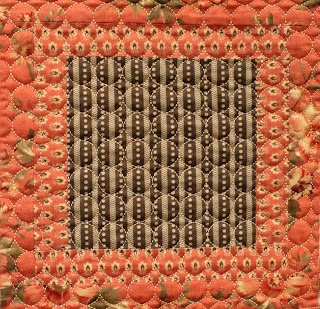 She did a fabulous job with her colors and all the detailed quilting just makes it a WOW! These girls took the Brother Table Topper class with Miss Kathy! A 2 session class practicing placement on your Brother Dream machine. Almost all of them got completely finished by the end of class today! Hope everyone is staying warm. Winter is the perfect time to start a new project. 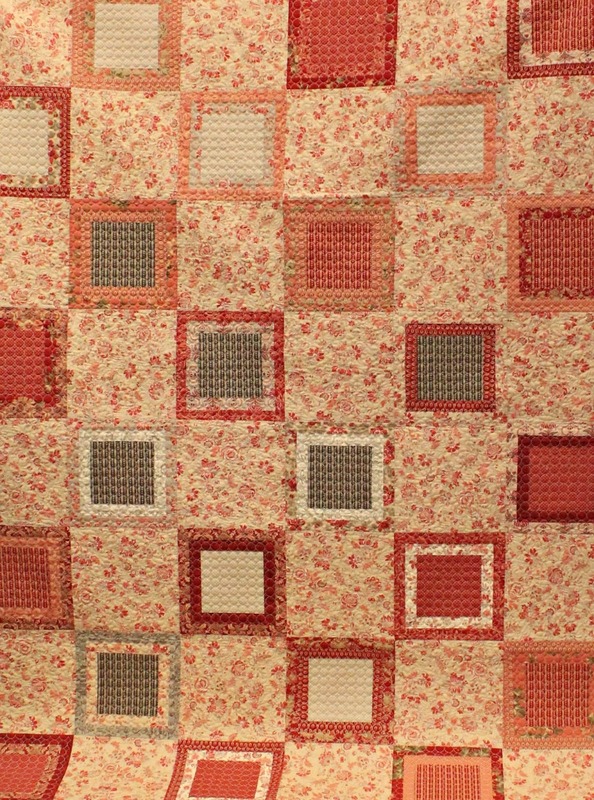 We have changed the store around and have several new fabrics. Come in and see us to start your new project. 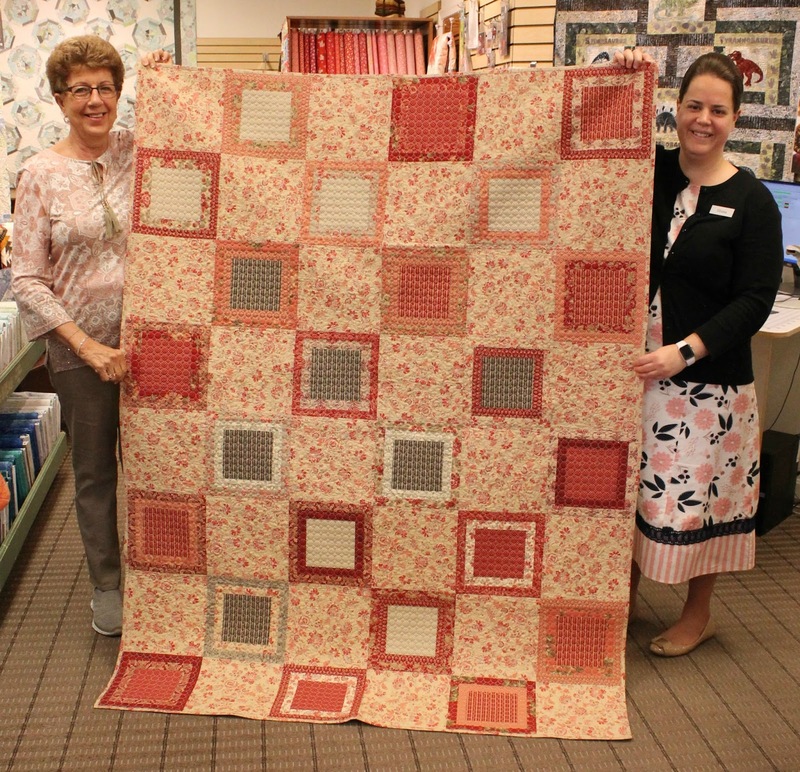 Take a look at Donna and and her Snow Days Quilt!